Do you have a happy place? 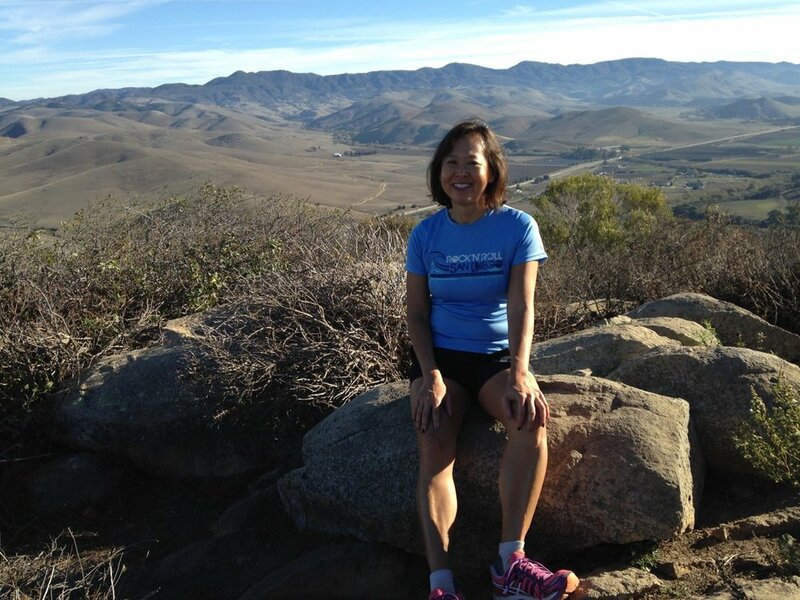 My happy place, at least for running, is Morro Bay, CA. It's a small town on the central coast of California, about 110 miles north of Santa Barbara. 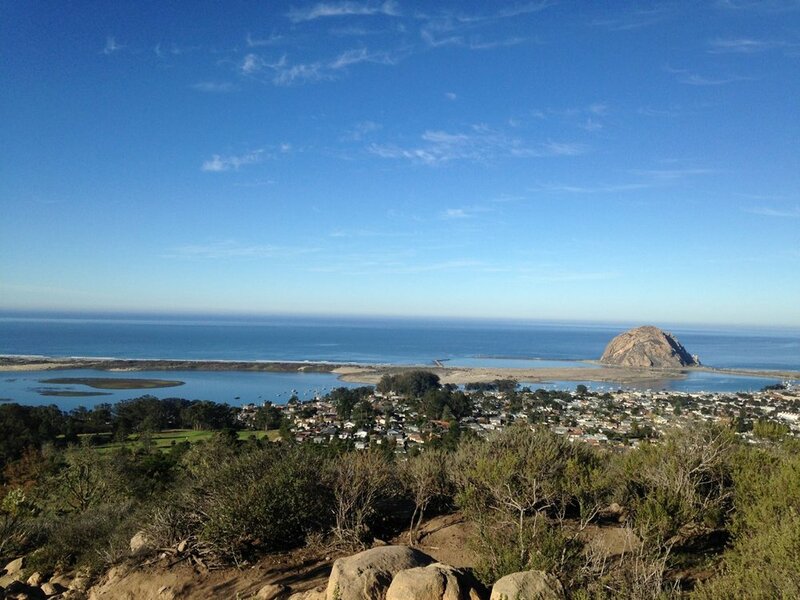 From most any spot in Morro Bay, the Rock is usually visible. During the past 5 years, the trip has been taken that many times. It coincided with dropping my son off at school in San Luis Obispo. But now that he just graduated, I don't have that reason to go, other than to take some time for myself. Just some scenic photos to share, mostly of Morro Rock and along Morro Strand Beach. 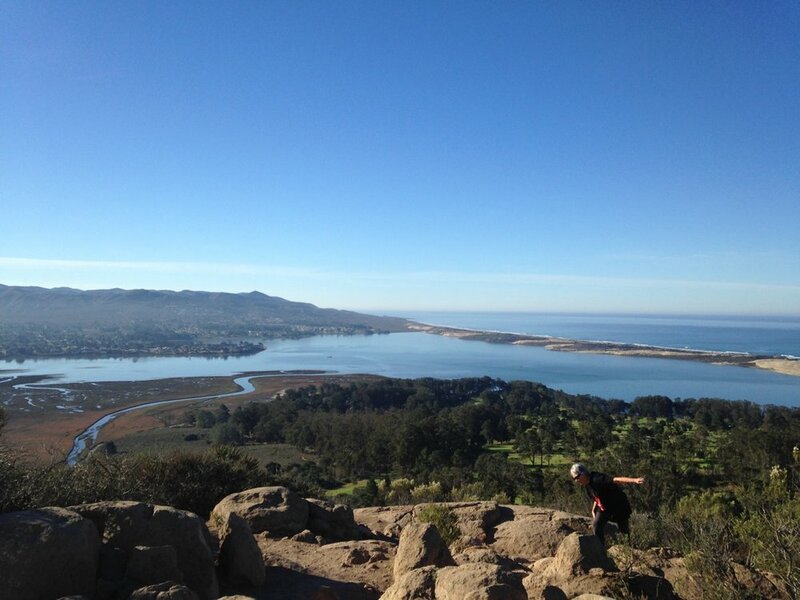 Then from Black Hill, looking down on Morro Bay and the surrounding area. The first time I "discovered" Black Hill. I found my way up a trail on the side of the mountain, only to discover everyone else accessed via a road next to the golf course. I discovered Montana de Oro State Park where the sandbar is accessed and the Rock is to the north. This last trip in June 2018, the landscape was noticeably in bloom. So why is it my happy place? I like the terrain - the beach, the mountains, the native plants, the cool air. I like that the Rock is there and has been for a long time. It's a vacation town, just some motels and restaurants and not much to do other than chill. It feels good to be there.